Vicky grew up in Grand Falls, NB where she then attended the Miramichi Career College to start her career in the medical field as a Registered Veterinary Technician. She then traveled across the country where she gained a great amount of experience. Vicky has been fully trained by Dr. Carole Ouellette (Chiropractor) and has an excellent understanding of how chiropractic stimulates and helps the body to heal in a non-invasive and drug free manner. 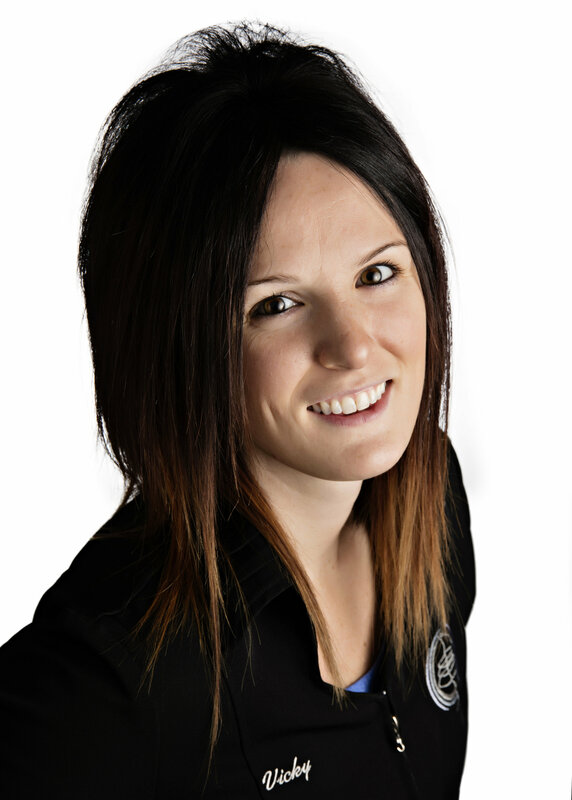 She has been working at Grand Falls Chiropractic Wellness Centre since October 2008. She continuously attends seminars with Dr. Ouellette to further her knowledge and understanding the vitally important role that chiropractic plays in achieving true optimal health and wellness. Vicky leads a very active life. On her spare time she enjoys playing volleyball and spending time with friends and family. Vicky and the Grand Falls Chiropractic Wellness Centre team are ready to help. Contact us today to schedule your appointment.